Although it's not being released in time for Philly Beer Week this week, Omission Beer will be available throughout the East Coast beginning June 11. 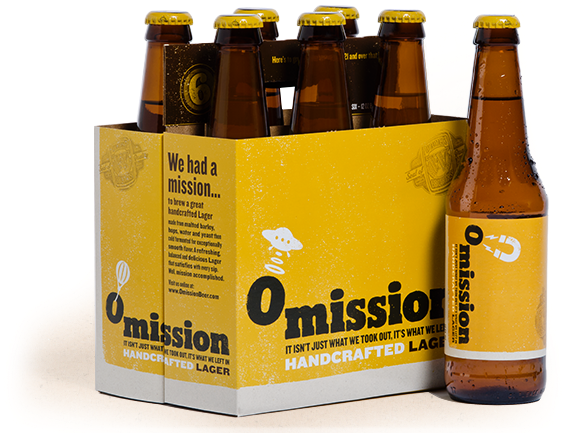 Produced by Widmer Brothers Brewing in Portland, Oregon, Omission Lager and Omission Pale Ale are brewed using a proprietary process to reduce the gluten levels to below the Codex gluten-free standard (used in Europe) of 20 parts per million for food and beverages. According to federal guidelines, the brewer isn't legally allowed to claim that Omission is gluten-free because the beers - like Spanish import Estrella Damm Daura - are brewed with malted barley, a prohibited grain for those on a gluten-free diet. Given that some consumers understandably may be skittish about the fact that the production includes barley, the brewer has disclosed its brewing and testing methods. All brewing equipment downstream from fermentation is cleaned and sanitized for every batch of Omission beer. During the brewing process - which includes the use of low-protein barley - the brewery adds an enzyme called Brewers Clarex. The enzyme, which has been used by craft brewers as a clarifying agent, works to break down proteins - including gluten - in the beer. All batches are tested by an independent lab, Eurofins Scientific, using the R5 Competitive ELISA method to check that gluten levels are less than 20 ppm. (Read more about the pros and cons of the R5 Competitive ELISA testing method in this article by dietician Tricia Thompson.) Every batch is also tested by the Food Allergy Research and Resource Program at the University of Nebraska. Tests are also conducted internally by the brewery at various stages in the brewing and packaging processes using the R5 Competitive ELISA. Beer is not released until test results are received and after an extended quality assurance hold. According to the tasting notes, Omission Lager is brewed in the traditional lager style with an aromatic hop profile. Omission Pale Ale is a hop-forward American Pale Ale, brewed to showcases the Cascade hop profile. Amber in color, Omission Pale Ale’s floral aroma is complemented by caramel malt body. To my surprise, I liked the Pale Ale better than the Lager but both tasted better than sorghum-based beers like Redbridge and Bard's. 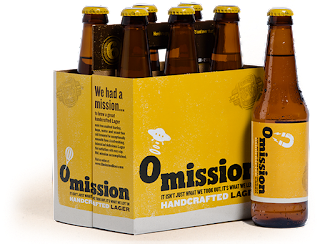 Omission Lager and Omission Pale Ale have a suggested retail price of $9.99 per six-pack and will be available in 12-ounce bottles. A short YouTube video provides more detail about the beers and the testing process, and in it you'll also hear from two people involved in developing the beers about their personal connection to the product. The beer may not be for everyone, particularly those who are concerned about the mere introduction of barley into the brewing process. At the least, it should foster discussion and further study of these types of beers. DISCLOSURE: While Omission Beer provided product samples for me to review at no cost, such compensation did not influence my review. Neither I am nor any immediate family member is an employee, officer, director or agent of Omission Beer or its respective parent, subsidiary and affiliated entities, advertising and promotional agencies. Click here for my complete Disclosure. Do you know where locally we may be able to purchase Omission? Thanks!